Your donation provides critical support for our work with prosecutors who are improving the criminal justice system. Statewide Best Practices Committees for prosecutors provide a process for prosecutors to proactively work on improving the criminal justice system and to assess emerging issues. The committees include elected prosecutors, senior prosecutors and prosecution coordinators from all regions of the state. Read more. The activities of a committee can range from internal discussions on challenging issues to public recommendations for specific improvements. The committees often join with other partners such as police, victim groups or community groups to effect change. Contact us for more information and assistance. What does a prosecutor do? The job of a prosecutor is to represent the interests of the state in criminal legal actions. A prosecutor looks at each case, decides if it merits prosecution, and, if it does, what the charges should be. The prosecutor then has the burden to prove the case beyond a reasonable doubt. The prosecutor must strive for justice – for the victims, for the community and for the accused. What is a statewide Best Practice Committee for prosecutors? A statewide Best Practices Committee for prosecutors is made up of prosecutors from all regions of a state, including urban, suburban and rural jurisdictions. It is a non-partisan group that includes elected prosecutors, senior prosecutors and prosecution coordinators. The committee is a brain trust for prosecutors on policy issues including how to improve the criminal justice system and how to evaluate emerging issues. What do Best Practice Committees do? Best Practices Committees meet regularly to discuss how to improve the criminal justice system and how to evaluate difficult and emerging issue facing prosecutors. It is a process by which there can be a statewide conversation among prosecutors on important policy issues. Best Practices committees are proactive and can recommend specific improvements. The committees can collaborate on a variety of issues with other partners, such as the police, victim groups and researchers. Why should prosecutors have a statewide Best Practices Committee? Best Practices Committees allow prosecutors to be engaged in the policy issues of the day and to be proactive in improving the criminal justice system. The criminal justice system is undergoing a revolution of change and introspection fueled by the realization that wrongful convictions can occur and that the trust between the community and law enforcement has eroded. These issues are of profound importance to prosecutors who are so central to the criminal justice system. Prosecutors have an ethical obligation to protect public safety and to respect the rights of the accused. This dual purpose is essential, but complex. The committees help prosecutors to keep abreast of the rapid changes in the criminal justice system and the ever-increasing flow of recommendations, studies and opinions. 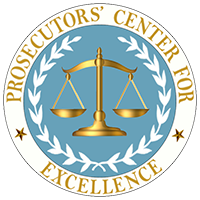 The mission of Prosecutors’ Center of Excellence is to assist prosecutors with these challenges. Does my state have a Best Practice Committee? Prosecutors are forming best Practices Committees all across the nation. States are in different stages: some have committees that have been in existence for years, others are in the formative stages and other states are in the process of considering such committees. Whether a committee has been formed or is being considered, prosecutors from over 30 states have been meeting to discuss the best practices movement and to examine emerging issues. How can I form a Best Practice Committee in my state? PCE provides technical assistance with creating Best Practices Committee, ranging from advice on foundational documents to membership, agendas, materials, sustainability, and much more. Contact PCE for more information.